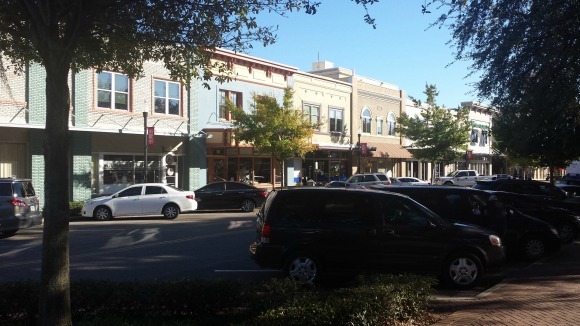 Winter Haven is like many other Florida towns: you have to get off the main highway to see the real town. In this case the main Highway is US-17 that meanders across Florida from the Georgia border near Jacksonville to Punta Gorda in Southwest Florida on the Gulf of Mexico. The town began to develop in the early 1880s in the days before highways when the Plant System built the first railroad across Polk County. It passed just north of current day Winter Haven. 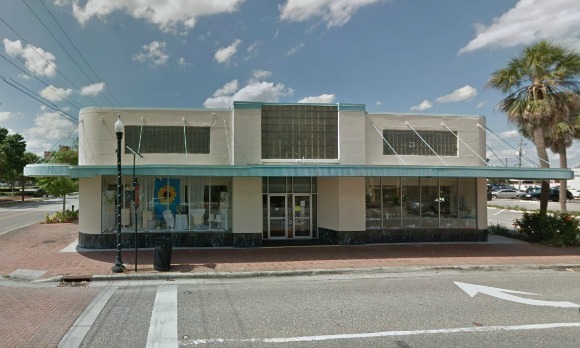 The town was first called Harris Corners but was incorporated as Winter Haven in 1911. 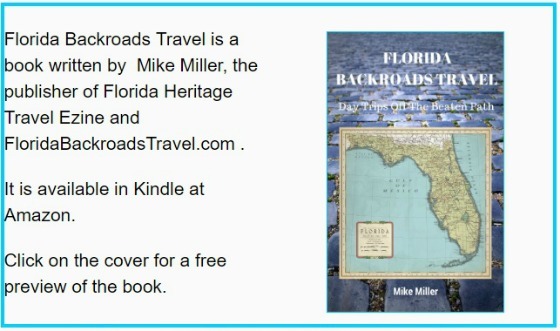 The canals connecting the chain of lakes were started in 1915, and the town boomed in the 1920s along with many other Florida places. 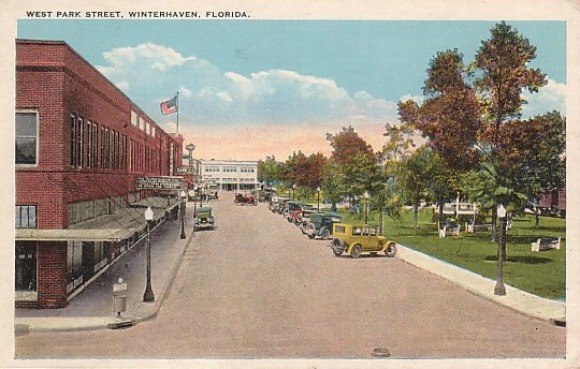 In the years before Walt Disney World opened in 1971, Winter Haven was the destination for more tourists than just about any other place in Florida. 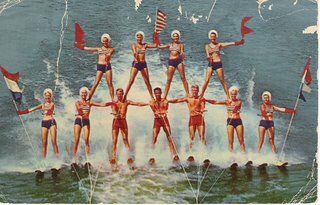 This is because of Cypress Gardens, known as the "Water Ski Capital of the World", that opened in 1936. 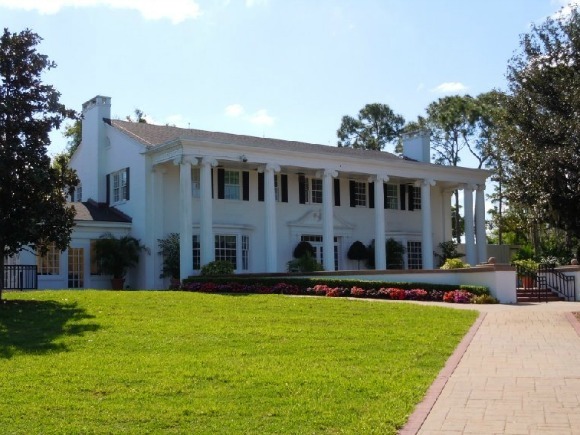 Many movies were filmed at Cypress Gardens and thousands enjoyed the Southern Belles and water ski shows until the park finally closed its doors in 2009. It was reborn under different owners as Legoland in 2011, and the new owners have preserved key elements of the beloved old Cypress Gardens attraction. The numerous lakes in this city do not allow a strict north-south and east-west street layout. The canopied residential streets meander throughout the town around the lakes and offer lots of great scenery. Many of the lakes have streets around their entire shoreline and these make for great scenic drives. Several neighborhoods, including the downtown area, have been designated as historic districts and you will see many historic buildings and houses on your drives. 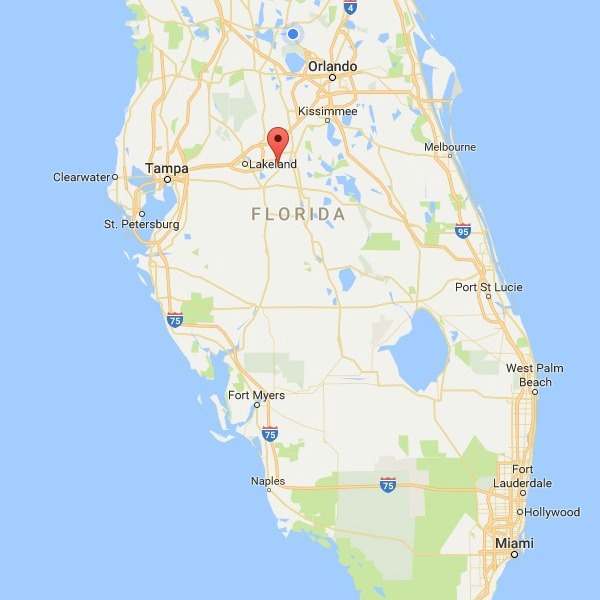 Winter Haven's nickname - "Chain of Lakes City" - has been earned because of its location among more than 50 lakes ranging in size from tiny to large. 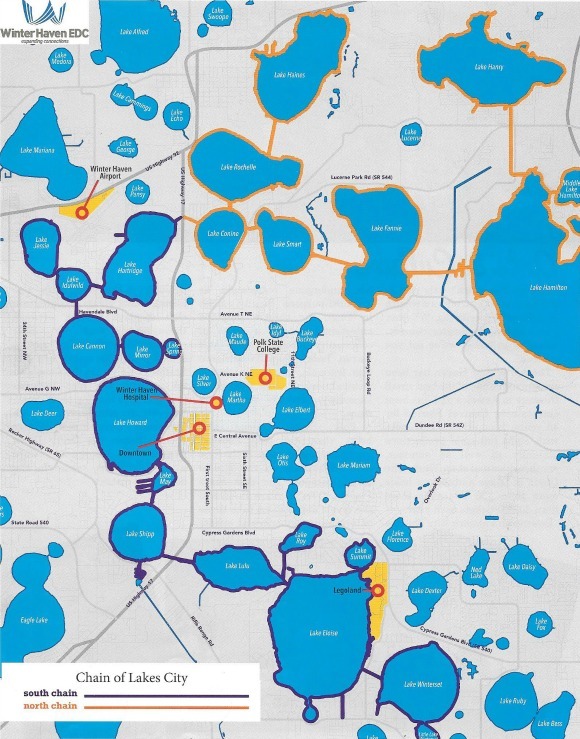 24 of these lakes are connected by canals in the Winter Haven area, making Winter Haven a boater's paradise. Visitors can rent boats, kayaks, paddle boards, and pontoon boats and spend hours fishing or just enjoying the water. Winter Haven is also close to many other Florida attractions such as Bok Tower Gardens and Spook Hill. Harry specializes in seafood, and the menu changes every day. The modest building sits on the shore of Lake Ned and many of the windows have views of the peaceful water. There is a small service bar for beer and wine with about three stools just inside the entrance, but plenty of space to wander around on the grounds if you have to wait. The interior of Harry's is rustic and homey. Nothing is fancy but it gives you a very comfortable feeling. Lunch and dinner is served here; the lunch menu is large and varied and the dinner menu even more so. Some unusual items are featured here. For example, the appetizer menu includes duck fingers, gator bites, baked oysters, escargot in mushroom caps and deviled crab balls. You can get your main entree fried or broiled. All fried entrees are served with hush puppies and your choice of two: cole slaw, tossed salad, French frieds, New Potatoes, rice or fresh vegetables. 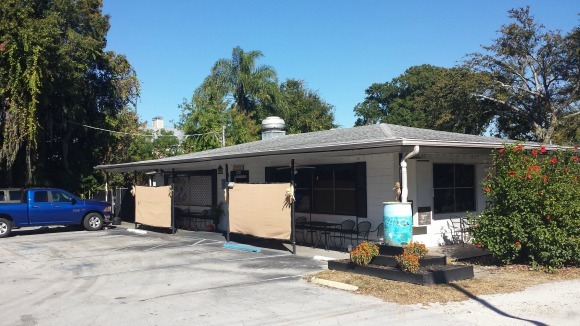 The fried entrees include oysters, grouper fingers, scallops, shrimp, catfish and clams and can be ordered separately or as either a fish and chips special or a combo platter. 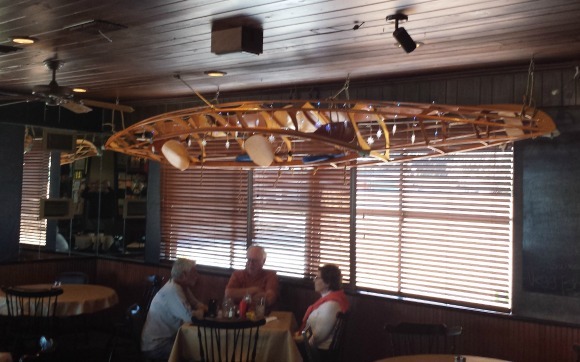 Broiled entrees include crab imperial, shrimp kabob, scallops, snow crab legs and Harry's catches of the day. These catches are always fresh and you can have them prepared any way you like. Landlubbers have not been forgotten with plenty of beef and chicken dishes including filet mignon, garlic steak, New York strip, chopped steak, and plain, Cajun or BBQ grilled chicken breast. The also serve linguini with clams and shrimp, and pescatore with scallops, shrimp, clams, white fish and mussels on a bed of linguini. Children's dinners include hamburgers, grilled cheese, spaghetti and meatballs and even a peanut butter and jelly sandwich. The dessert menu is generous, too, and the favorite here is Key Lime Pie. December is just right in Florida. We get some cold snaps, but most of the state is blessed with occasional periods of balminess that warm the bones. The snowbirds have come back from up north so the lines are longer at our local restaurants.